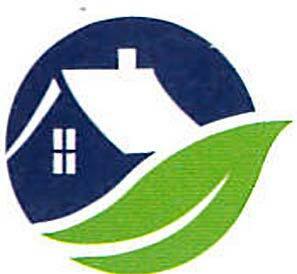 Like Heathwood, Geranium Homes turned 40 last year. 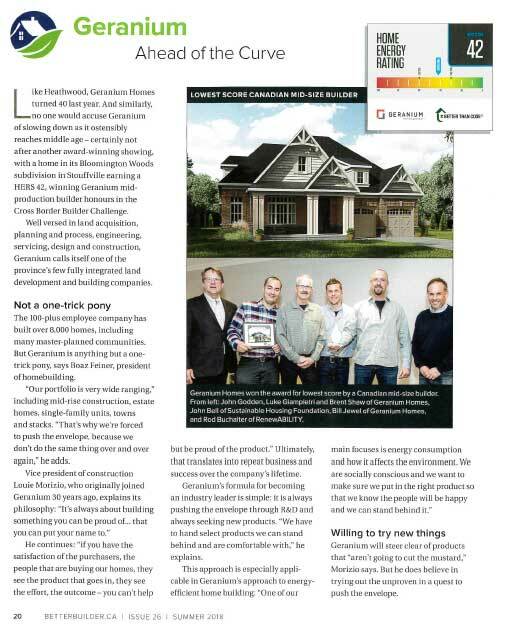 And similarly, no one would accuse Geranium of slowing down as it ostensibly reaches middle age -certainly not after another award-winning showing, with a home in its Bloomington Woods subdivision in Stouffville earning a HERS 42, winning Geranium mid­production builder honours in the Cross Border Builder Challenge. 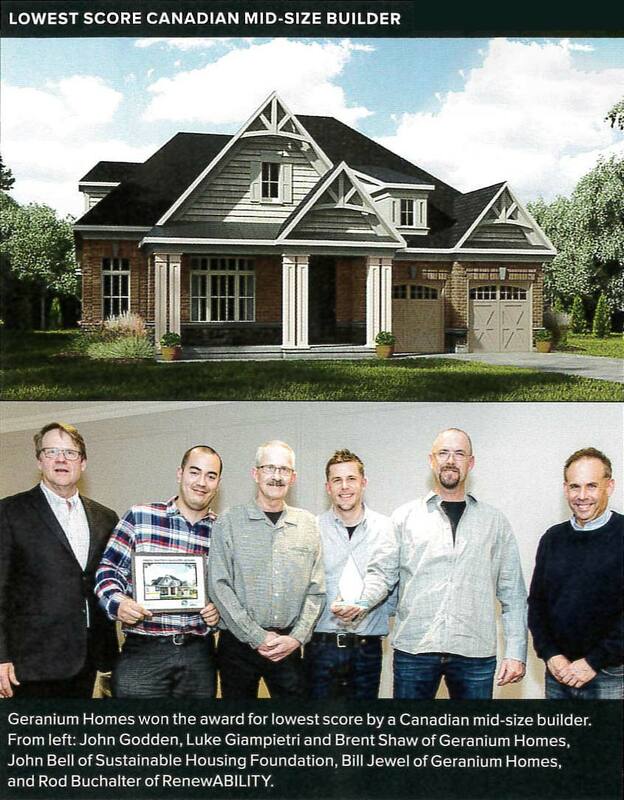 Well versed in land acquisition, planning and process, engineering, servicing, design and construction, Geranium calls itself one of the province’s few fully integrated land development and building companies. The 100-plus employee company has built over 8,000 homes, including many master-planned communities. 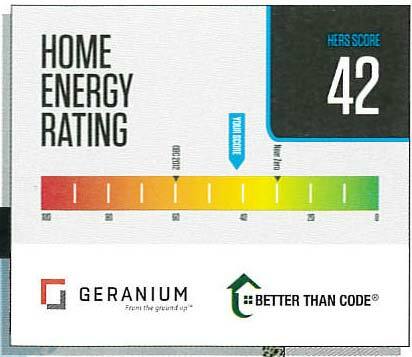 But Geranium is anything but a one­trick pony, says Boaz Feiner, president of homebuilding. “Our portfolio is very wide ranging,” including mid-rise construction, estate homes, single-family units, towns and stacks. “That’s why we’re forced to push the envelope, because we don’t do the same thing over and over again,” he adds. He continues: “if you have the satisfaction of the purchasers, the people that are buying our homes, they see the product that goes in, they see the effort, the outcome -you can’t help but be proud of the product.” Ultimately, that translates into repeat business and success over the company’s lifetime. Geranium’s formula for becoming an industry leader is simple: it is always pushing the envelope through R&D and always seeking new products. “We have to hand select products we can stand behind and are comfortable with,” he explains. Geranium will steer clear of products that “aren’t going to cut the mustard,” Morizio says. But he does believe in trying out the unproven in a quest to push the envelope. For instance, Geranium is currently experimenting with a liquid tar material for sealing the exterior of flat roofs. Once poured into place, it becomes a rubber membrane that is puncture resistant, eliminating the common issue of having nails penetrate the roof and cause leaks. This could translate into less servicing for purchasers, a better sealed unit, less draft and more durability, he adds. things” to perfect airflow and eliminate leaks to get these results.